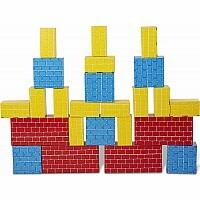 Young construction workers and architects will spend hours with these lightweight yet durable cardboard building blocks. 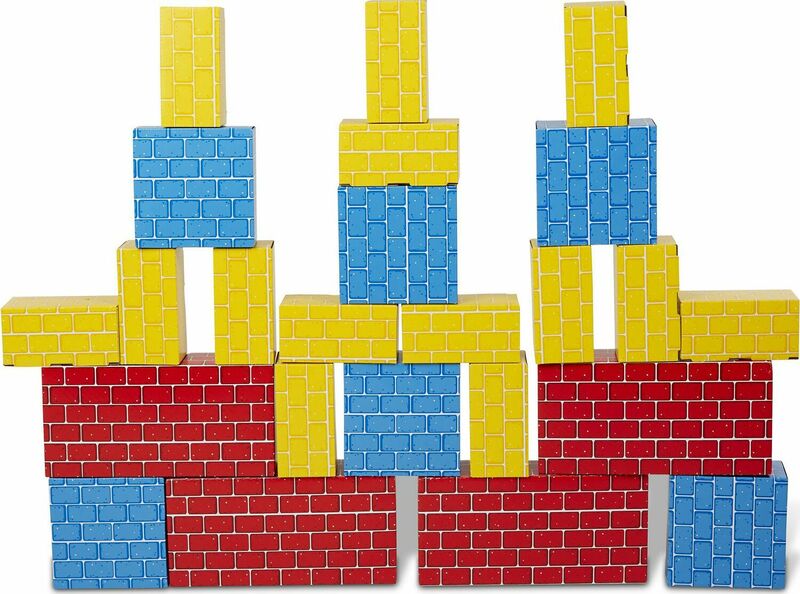 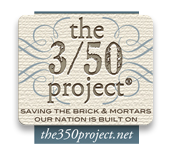 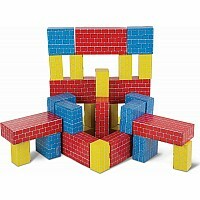 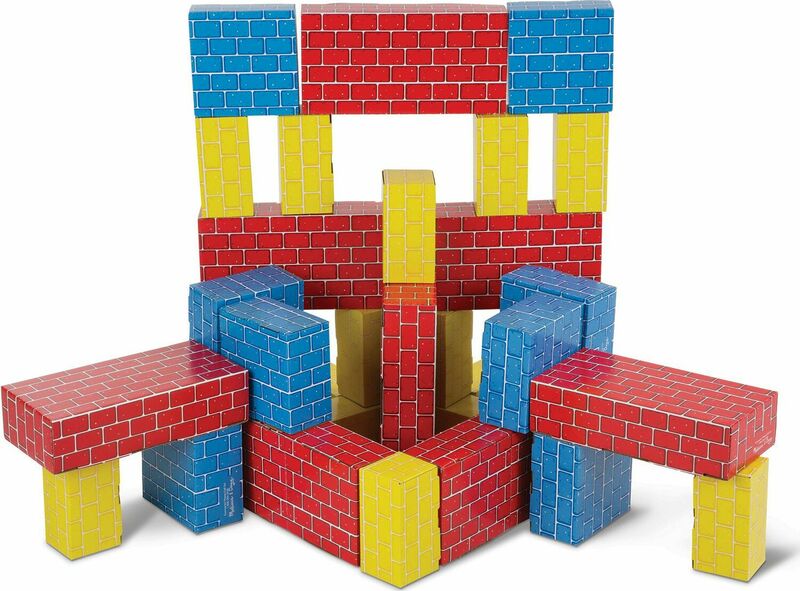 This 40-piece set features three sizes of bricks for constructive imaginative play. 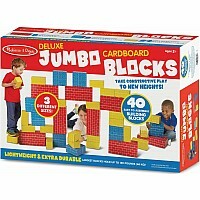 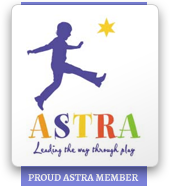 Made of premium, extra-thick cardboard for strength, they are easy to assemble and feature a wipe-clean surface. 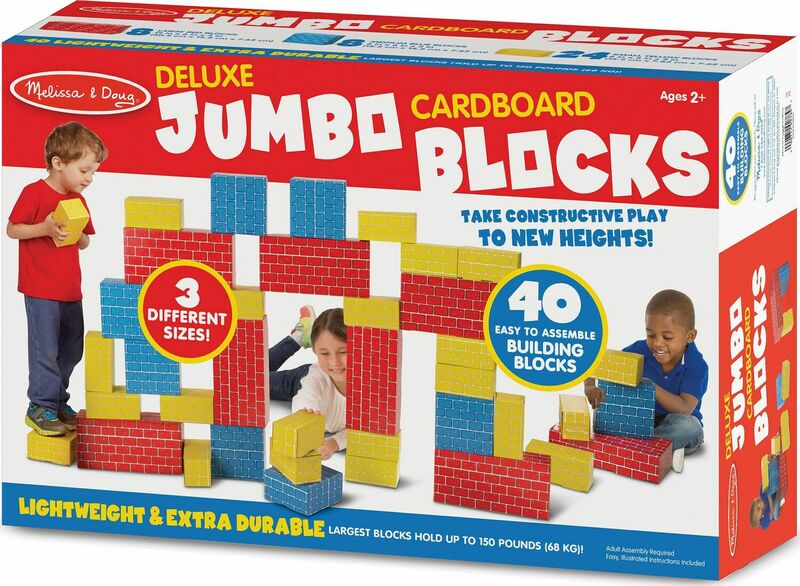 The red blocks hold up to 150 lbs!